Shoes by Toms, Canvas upper, Elasticated insert, Textured tread, With every pair of shoes purchased, Toms give a pair of new shoes to a child. One for one. During a trip to Argentina in 2006 American Traveller Blake Mycoskie befriended children in Argentina and found they had no shoes to protect their feet. 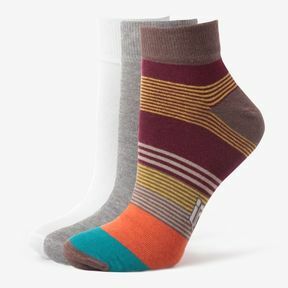 Borne out of a desire to help the children he met, he created Toms a footwear brand that would match every pair of shoes purchased with a pair of new shoes given to a child in need. One for One.